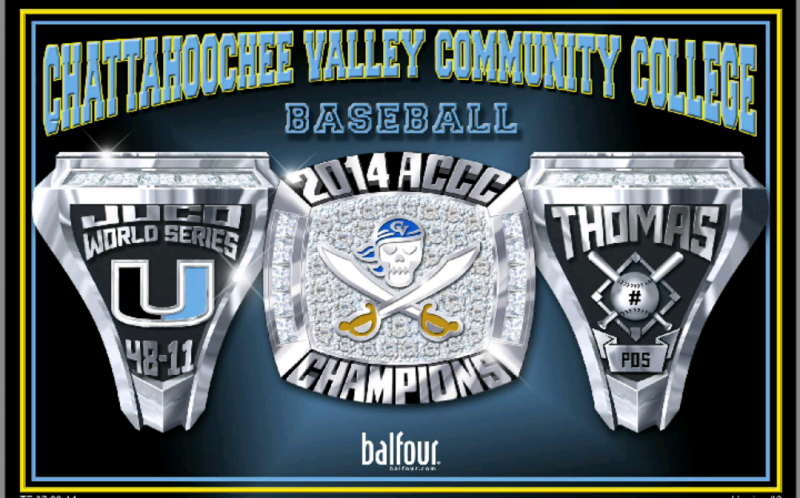 After 16 years of almosts, the Pirates of Chattahoochee Valley have finally captured the ACCC Title and brought the championship back to Phenix City, Alabama. CVCC went a perfect 4-0 in the tourney, beating Wallace State-Dothan 8-0 in the first game, winning in come from behind, walk off fashion, 8-7 versus Alabama Southern, a run rule 14-4 win over Faulkner State, and then a rematch with Alabama Southern in the title game, winning 11-5. Highlights and recaps will be up soon, as I am planning our trip on very limited time. Parents: Please refer back to our site this evening and I will have as much info as possible regarding the World Series trip. We are having a team meeting tomorrow with Coach Wynn Fletcher from CACC, please feel free to attend. I’ll have that time for you as soon as possible. Thank you for your patience.